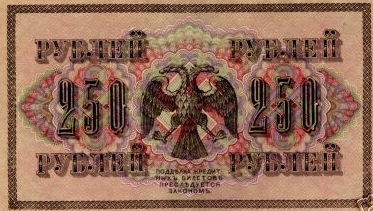 Socialist Soviet banknote from 1917. 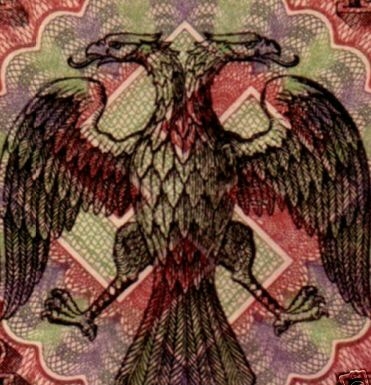 The designer of that banknote was an ethnic Latvian: Rihards Zariņš. He created designs of paper money, postage stamps, certificates and more. 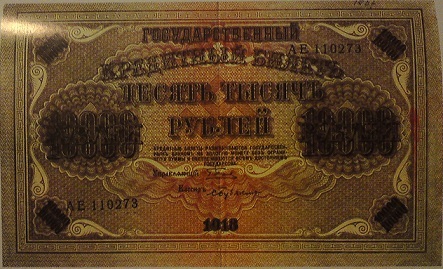 Ten thousand rubles banknote from 1918. 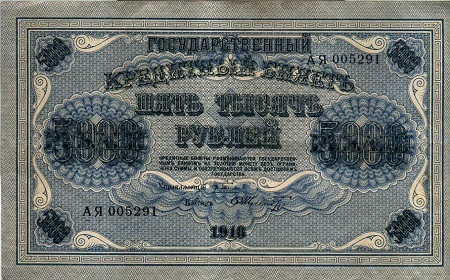 Five thousand rubles banknote from 1918.